The Assistant Director takes an agency leadership role by participating in management of programs assigned to the Division. The Assistant Director will be required to learn and maintain a high level of knowledge on Division programs to provide technical expertise to Department staff, licensees, citizens and policymakers regarding all issues related to the Division. Seeking applicants who are inquisitive, have a passion for learning and believe in providing excellent customer service. The Assistant Director will lead teams in carrying out programs and project management; participate in development of systems to ensure stability, meet future demands and changing technologies, management of risk, meeting regulatory and compliance requirements and service to customers/taxpayers; and participate in researching, recommending and drafting administrative rule and legislation. This position should be experienced and educated in property assessment and taxation is highly desirable. This position will report directly to the Director of the Property and Special Taxes Division. The primary responsibility of the position is to provide supervision and guidance to a staff of property tax professionals. Additionally, this position provides technical information and expertise regarding the assessment and taxation of real property to county officials and executive and legislative branch policymakers. The Department will have a booth at the South Dakota Farmers Union's 2nd Annual South Dakota MarketPlace: Opening Doors to Success Conference. The conference is in Aberdeen this year! Two DOR staff members will be presenting on Licenses, Taxes and Fees - Oh My! Register now and learn more about the Department and small businesses and rural communitities. PIERRE, S.D. 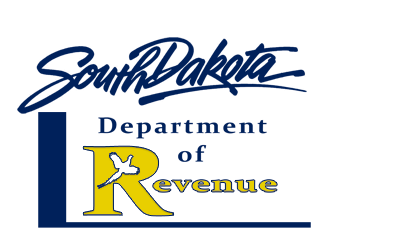 – Elderly and disabled South Dakotans have until April 1st to apply for property tax relief under South Dakota’s Assessment Freeze for the Elderly and Disabled Program. Under the program, for tax purposes, the homeowner’s property assessment is prevented from increasing. If the actual value of the home increases, the homeowner still pays property taxes on the former (lower) value. · Be 65 years of age or older OR disabled (as defined by the Social Security Act). Un-remarried widow/widowers of those who were previously qualified may still qualify in some circumstances. The valuation limit for the program is $182,358.37 or more of full and true value, meaning that property valued above those limits is not eligible unless the applicant has previously qualified. Deadline to apply for the program is April 1, 2014, and applications must be submitted to the county treasurer. Applications are available from local county treasurers’ offices or by contacting the Department of Revenue, Property and Special Taxes Division in Pierre at 605-773-3139 or 1-800-829-9188 (press “2” for the Property and Special Taxes Division). Additional information and the online application are available (see PT-38 “Assessment Freeze for Elderly and Disabled”). For additional information on the assessment freeze or other property tax relief programs, please contact the Department of Revenue, Property and Special Taxes Division.